Overall size: 60 x 48 cm. Image size: 52 x 41 cm. 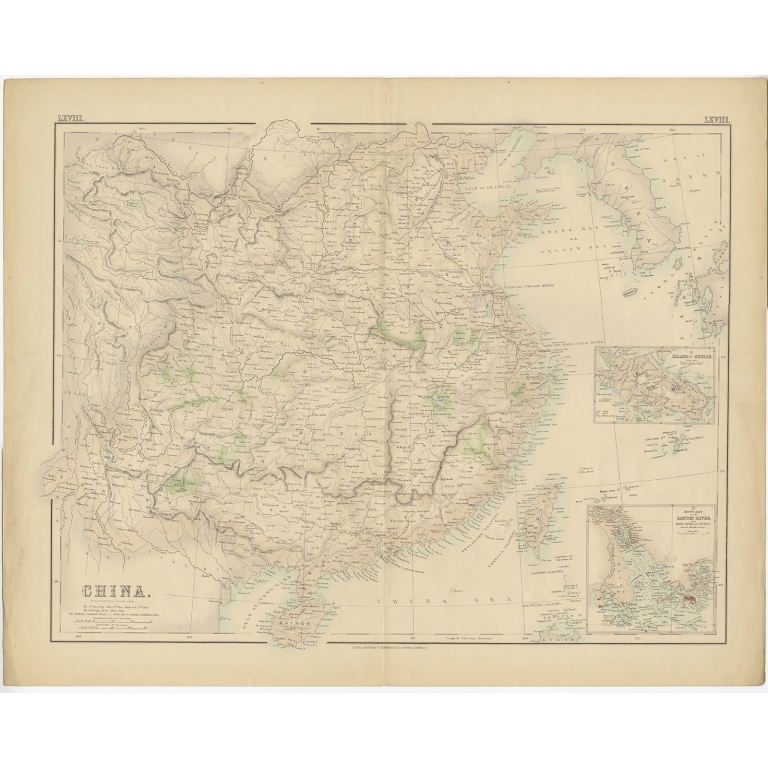 Description: Antique map titled 'China'. 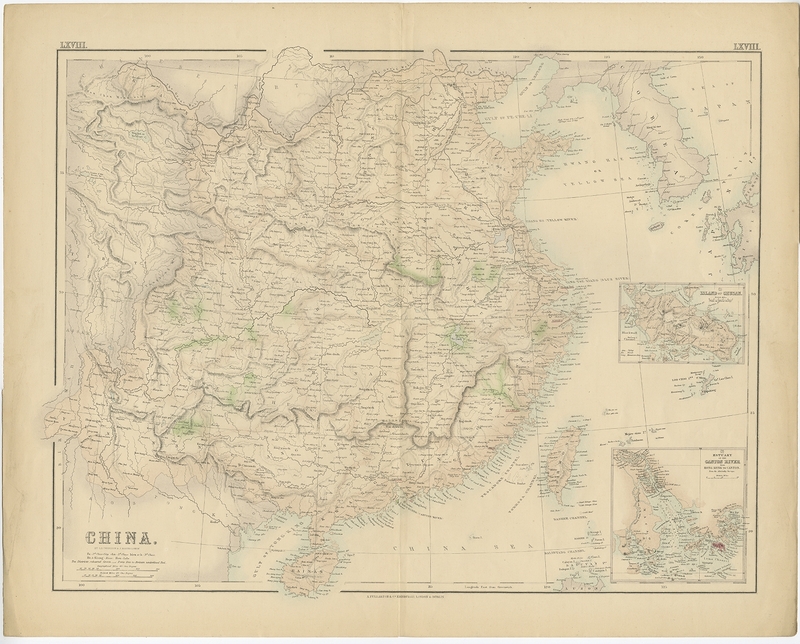 Large map of China, with insets the Island of Chusan, and the Estuary of the Canton River from Hong Kong to Canton. Korean peninsula shown. Artists and Engravers: Published by A. Fullarton & Co.